06.04.2012 Oropesa, Spain. Quarter Final Davis Cup. 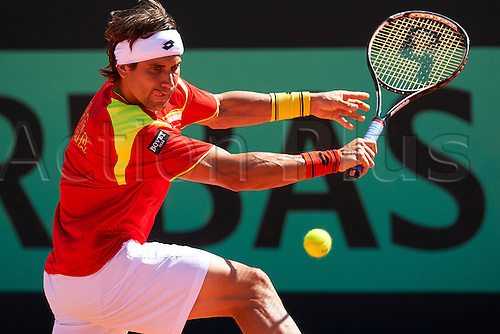 David Ferrer in action during second match of Quarter finals game of Davis Cup played at Oropesa town.